I’m one of the most experienced and best known mobile discos in East Anglia. 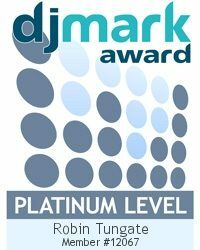 In 2011 I was awarded the coveted Mobile Disco Platinum DJ Mark award for East Anglia. It recognises outstanding quality & high professional standards. This means that my mobile disco services are quality tested and recognised by the entertainment industry. This award has been awarded annually. It gives my customers total reassurance & peace of mind. If you are looking for a professionally accredited mobile disco contact me first. Whether you need a wedding disco in Norwich, Birthday Party in Ipswich or a School Prom in Cambridge please call me for a quote.